Before we get to the next challenge, we have a sad announcement to make. Jessica has decided to step down from the Design Team. As much as she has enjoyed her time here, family obligations have taken a more pressing need. We will definitely miss her enthusiam & innovative designs! You can catch Jessica at her own challenge, My Pumpkin Challenge. 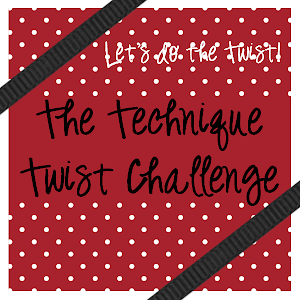 Thank you all for joining us again at the Technique Twist! We like to push the boundaries & take things to the next level! Today's challenge is Faux Tile. There are several versions of this technique. Here are two of them. Let's see what the Fabulously Design Team has for us today! 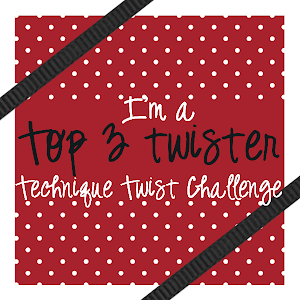 Link up below with your creation & tell us how you twisted the technique by January 3, 2013 at 1159p. Click HERE for our challenge guidelines. If linking up through SCS, use TTTC13 as your keyword. Announcement: Beginning with our next challenge, we will be switching the format to every other Saturday. Our next challenge will be January 4. Very pretty ladies and I love the colors ! TFS! !